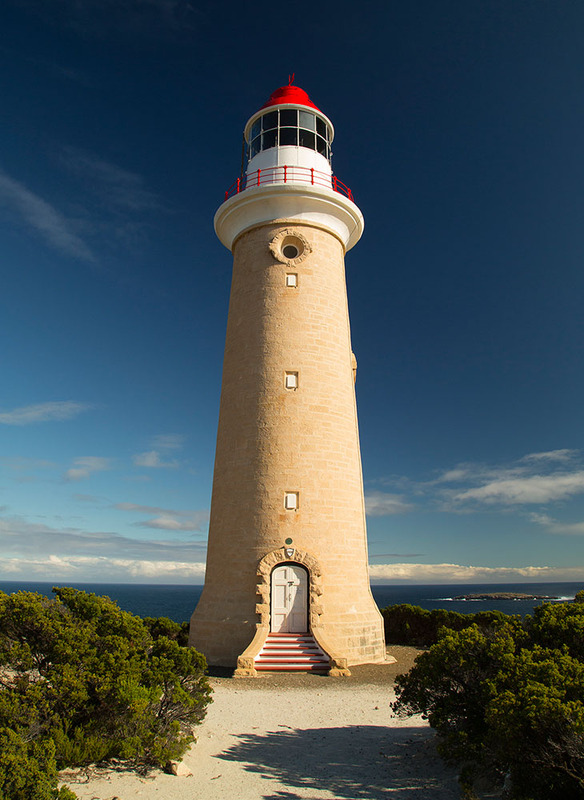 Cape Du Couedic Lighthouse | Lighthouses of Australia Inc. The need for a lighthouse in that area has been a great one for many years, as the treacherous waters already boasted a number of casualties including three shipwrecks that had claimed 79 lives. Kangaroo Island is the third largest island off the coast of Australia, being approximately 4,500 square kilometres in area, 155 kms long and 55 kms wide. The first Europeans to arrive on Kangaroo Island in 1802 were a group lead by Matthew Flinders looking for water and fresh meat (which they had been without for four months) near the present day Penneshaw. They hunted the small kangaroos and gave the island that name. A year after this French explorer Nicholas Baudin passed on the opposite side of the island naming the south western point Cape du Couedic after his friend and famous French sea captain Charles Louis, Chevalier du Couedic de Kergoualer (1740-1780). This coastline off Flinders Chase was to become the final resting place for 14 ships which came to grief on the rocky shores. An underwater reef with and two islands – the Casuarinas (The Brothers) extended some 35-40 km south of Cape du Couedic on Kangaroo Island. Three of the shipwrecks nearby had claimed 79 lives. In 1902 the South Australian Marine Board recommended the construction of a lighthouse at Cape du Couedic, at the south-west extremity of Kangaroo Island. Earlier lights had already been constructed to guide ship passing the north side of the Island, Cape Borda (1858) into the Investigator Strait, and Cape Willoughby (1852) into the Back Stairs Passage. The Cape du Couedic Lighthouse was constructed between 1906-1909 and was the fifteenth to be built on South Australia’s coast. It was also the last light to be built in South Australia before the Commonwealth Government took over the management and control of Australian lighthouses in 1915. The actual transfer did not occur until 1917. The tower itself was built from 2,000 pieces of local stone. Three four roomed cottages were also built of local stone with slate roofs for the headkeeper and two assistants. At the time of construction the site was inaccessible by land so Weirs Cove, 1 mile north of lighthouse site, was selected for landing. A jetty built first had to be constructed so stores and building materials could be landed. At first these stores, materials and equipment were carried up a zig zag path hewn into the face of the 300 foot (92 metre) cliff which continued until a flying fox was operative. To power the flying fox originally a pair of horses were used on a jimm, but were later replaced by a motorised winch. Steps were also carved in to the cutting to give foot access. A telephone line constructed to connect Cape du Couedic with Cape Borda in 1908 and served as only means of communications. It was significant that telephone connected before lighthouse was built. On the day the light was due to commence weather conditions were so bad that the ship, the Governor Musgrave, carrying the official party including the President and Wardens of the Marine Board were unable to land in the normally tranquil cove. Signals were given from ship to the keeper onshore and the light commenced operation. 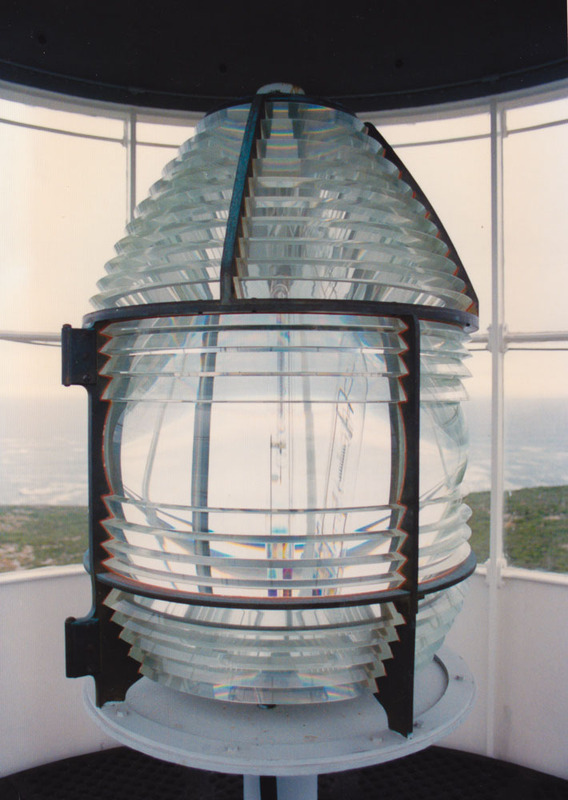 The original apparatus was supplied by the Chance Brothers of England and operated on kerosene, which was stored in the small, white-washed stone shed near the lighthouse. Cape du Couedic was extremely isolated being supplied once every 3 months by steamer to Weirs Cove. Once hauled up the flying fox the goods would be stored in the two supply sheds at top to await transfer to the lightstation about ¾ mile from the landing. The precarious trip on the flying was also the only method of getting keepers and their families on and off the Cape. One story goes that a sharp tongued and unpopular keeper’s wife was being ferried from the cliff top to the jetty in the flying fox when the motor broke down. It took a couple of hours to be repaired, with the basket (and contents) swinging in the breeze half way down the cliff. The remains of the jetty, water tank and storeroom can still be seen at Weir’s Cove. In a medical emergency the nearest doctor was in Port Adelaide. Mail was delivered fortnightly from Kingscote by horseback to Rocky River, nine miles from the Station, from where keepers to arrange to collect mail there. It is interesting to note that here is a hut there called “Postman’s Cottage”. The remoteness of the station is further demonstrated in that it was not until 1940 that the first motor vehicle visited. In 1957 the lighthouse was automated with the conversion to acetylene gas operation and at the same time was demanned. By now most shipping used Backstairs Passage and Investigator Strait and the light was used mainly by fishing vessels in the area rather than regular shipping. In 1974 the lighthouse was converted to electric operation. The Cape du Couedic lighthouse reserve, with the exception of the lighthouse, a storage shed and the small area on which these structures were located, was sold to the Flora and Fauna Board of South Australia in 1959. The site now forms an integral part of Flinders Chase National Park. A feature of the area is Admirals Arch at the end of the point that the lightstation is on. The area is also home to a colony of New Zealand fur seals. Another more extraordinary feature 4 km east of Cape du Couedic are the Remarkable Rocks. The head lightkeeper and his two assistants each had a cottage, containing four rooms, together with stores, stable, cart, and other outbuildings. All these were of limestone rock squared and painted white. The current configuration is that all the cottages have three bedrooms plus the normal lounge and service rooms. They all have a 2 metre wide verandah surrounding each house. 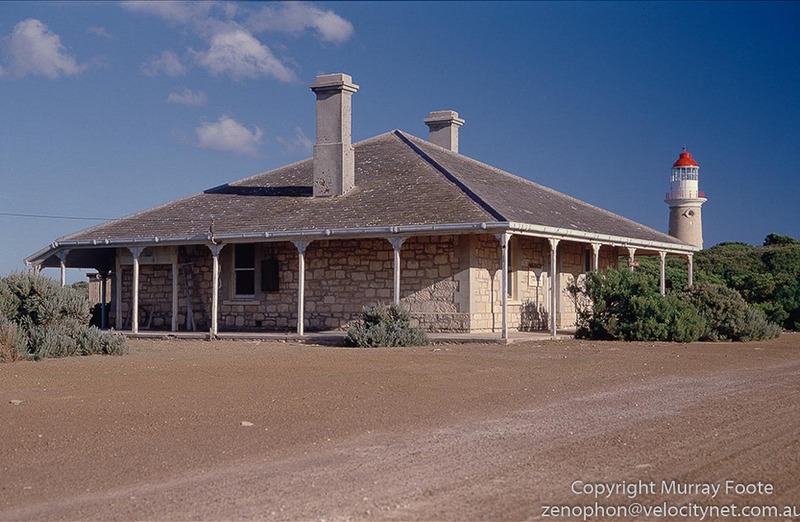 The Lighthouse was demanned and automated in 1957 and the cottages were transferred to the South Australian Government and became part of the Flinders Chase National Park, established in 1919. In 1991 the lightkeepers cottages were restored and made available for holiday rental. 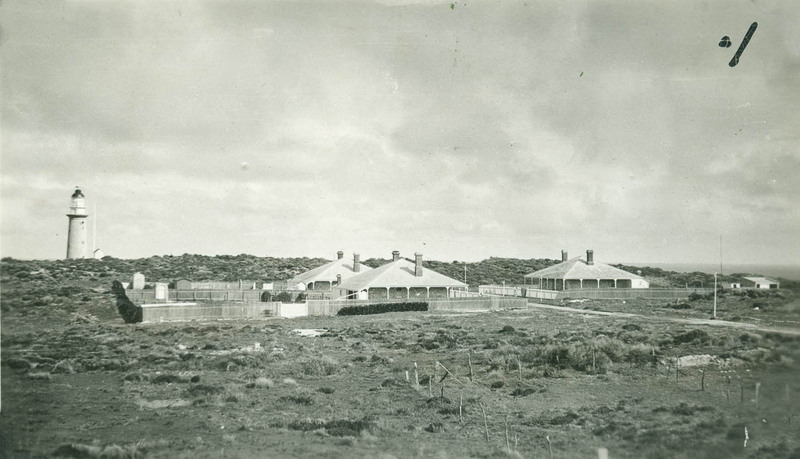 The cottages are now known as Troubridge, Karatta and Parndana after boats serving Kangaroo Island. In 2000 further restoration took place with the slate roofs being faithfully restored. The Cape du Couedic Lightstation maintains a high degree of integrity, retaining all of the buildings originally constructed between 1907 and 1909. As well as the tower the lightkeepers cottages are listed on both the State and National Heritage Registers.